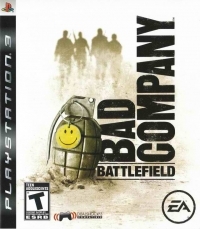 04-07-2012 atariboy Description Set in the near future, the Battlefield: Bad Company single-player campaign drops gamers behind enemy lines as part of a squad of four soldiers -risking it all to go AWOL on a personal quest. 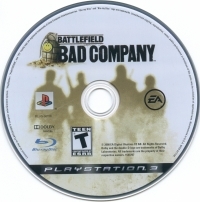 Featuring a dramatic storyline flavoured with attitude, Battlefield: Bad Company leads gamers far from the traditional frontlines on a wild ride with a group of renegade soldiers who decide that sometimes the gratitude of a nation just isnï¿½t enough. 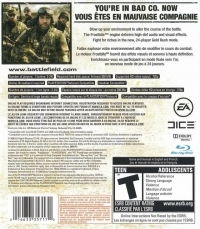 The Battlefield: Bad Company cinematic single-player experience captures the freedom and intensity of the Battlefield seriesï¿½ multiplayer sandbox gameplay in a dynamic world where nearly everything is destructible. Players have total freedom to be daring and innovative, adapting to and tackling challenges in unexpected Battlefield-style ways. Create sniping positions by blowing out a piece of a wall or drive your tank straight through a small house. The ever-changing battlefield forces players, their teammates and enemies to react accordingly. This is a list of VGCollect users who have Battlefield: Bad Company in their Collection. This is a list of VGCollect users who have Battlefield: Bad Company in their Sell List. This is a list of VGCollect users who have Battlefield: Bad Company in their Wish List.